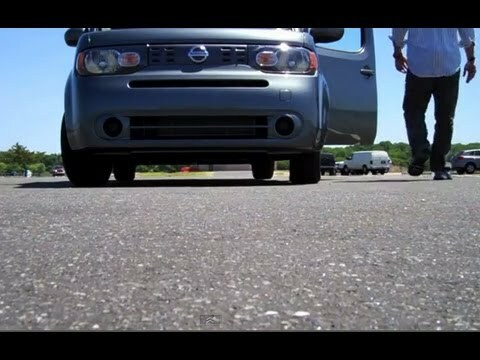 If you need the practicality of a roomy small car that gets good gas mileage, but your creative side strives to own something you don't see in every driveway, the 2011 Nissan Cube is just the ticket. Unique accessories, like the shag dash pad, are both fun and functional. It is as fun as it looks! Inside and out. I love my cube! It is quirky and cute, fun to drive, reliable and safe. It is easy to get in and out of, and has large, wide windows that make me feel like I can see well. It may look small on the outside, but it is very roomy on the inside. I have moved tons of stuff in it. Besides the aesthetic appeal, it has been reliable. I have done all the basic maintenance required, and have had no major problems with it. I even worked for umber for a few months, and I got lots of compliments on it. I am very sad that Nissan discontinued it in 2014. My little green toaster car. There have been no problems with the car. The performance to this date has been reliable. It gets good gas mileage around town and on the highway. It has a fairly comfortable ride and comfortable seating. I like the hatchback feature instead of a trunk so there is more room for storage when shopping or traveling. It also came equipped with cruise control which saves fuel when you are driving the highways. I have enjoyed using the hands-free phone system. It works better than to be hooked up to some Bluetooth headphone. Glory, the grey cube with 4 doors plus the back door opens like a fridge! I named my car glory! I brought her new with 27 miles on her! She came from japan near the nuke meltdown! I love the Bose sound system! I love the fact I can change the radio stations from the steering wheel! I can adjust the volume too! Plus the Bluetooth works too on the steering wheel! Love the gas mileage I get! Car looks cute & different.